Under the direction of Chief Medical Director and Founder Dr. Robert L. Harris, and the team at V-Revive in Jackson, Mississippi, women of all ages can expect the highest level of care and the latest technology in non-surgical vaginal rejuvenation therapies. The V-Revive medical specialists are certified, trained professionals who are dedicated to helping women improve their vaginal health, sexual wellness, and quality of life. He is Chief Medical Officer and Founder of V-Revive, and also owns and operates two other gynecological practices -- Southeast Urogyn and Ovation Women’s Wellness. Dr. Harris is double board-certified in Gynecology and Obstetrics as well as Female Pelvic Medicine and Reconstructive Surgery by the American Board of Obstetrics and Gynecology, Dr. Harris is a member of the American Urogynecologic Society, the International Continence Society, the Society of Gynecologic Surgeons, the International Urogynecologic Society, and many more. 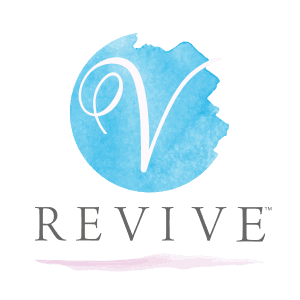 The V-Revive team focuses solely on women’s needs, including issues that arise during menopause, after childbirth, and for those dealing with pelvic health conditions like incontinence and cystitis. Upholding the highest professional standards, the V-Revive team works with each woman individually, in a compassionate, caring environment, to find solutions to symptoms and health conditions that empower women in their vaginal and sexual health. With more than 40 years of experience in female pelvic health, Drs. Robert L. Harris and Steven E. Speights, along with the V-Revive specialists, offer the latest technology and treatments in women’s healthcare today, including non-surgical vaginal rejuvenation with, MonaLisa Touch®, CO2RE® Intima, ThermiVa® and O-Shot®. V-Revive also partners with other healthcare clinics to provide patients the convenience of visiting a medical specialist closer to their area. Be sure to call the office to find out if your provider is an affiliate. Women of all ages turn to the V-Revive team for comprehensive women’s treatments and expertise. They are accepting new patients who live all around Mississippi.